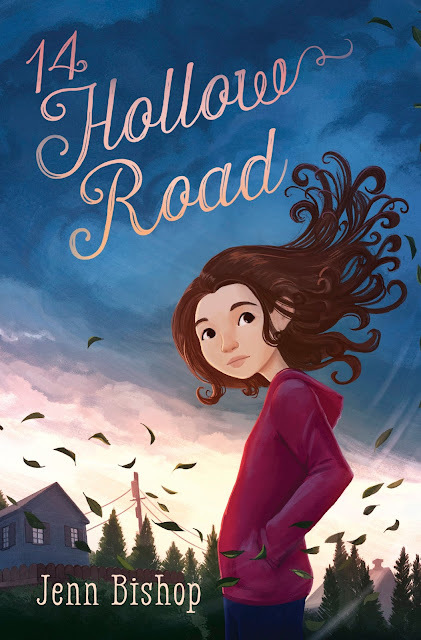 Kidliterati is SO excited to host Jenn Bishop's cover reveal for 14 Hollow Road!! First, let's hear a little about her latest book. 1. Who lives at 14 Hollow Road? 14 Hollow Road is the street address of my protagonist, Maddie Evans. It's where she's lived her whole life with her mom and dad, her little brother Cameron, and her dog Hank. After a tornado destroys her house, her parents rebuild their home at the same address -- it's the one thing that's stayed the same amidst so much change. 2. How is your MC like you? When writing Maddie, I found myself revisiting a lot of my own memories of sixth grade. Like Maddie, it was my last year going to school with just kids from my town. I grew up in a small town in Central Massachusetts where after 6th grade, you switched to a regional junior and high school. Suddenly, you're in school with kids from four other towns! It was a total game-changer. Also like Maddie, sixth grade Jenn was a little boy crazy, but also a very good student--particularly in math-- and competitive with some of the boys she had crushes on. 3. If your MC had a wish, what would it be? For Hank to return! (Her beloved dog goes missing right before the tornado hits.) Though Maddie might also wish for Avery to like her back in the same way, I think her first priority would always be Hank. 4. Where did you get the idea for your book? The seeds of 14 Hollow Road came from two distinct places. The first is a fantastic episode of This American Life (I am so obsessed with this radio show, I can't even!) called "Prom," (http://www.thisamericanlife.org/radio-archives/episode/186/prom) which aired many years ago and shares the true story of a high school prom that was interrupted by a tornado. As a kid--and, okay, as an adult too--I was always fascinated by storms, though in New England we never got tornados. Well, that was what I thought! But in 2011, things changed when an E3 tornado crossed the very street where I grew up in Sturbridge, MA. My parents' house was fine (they were a half mile from the tornado's path), and casualties were small given the size of the tornado, but it left deep scars on the landscape. It's still so strange to return home and see where huge swaths of forest were wiped out by the tornado, or the houses that were rebuilt. It was only after this tornado that I started to wonder about a situation like the one in "Prom," except with kids going into junior high instead of about to graduate high school, and set in a town loosely based on the one where I grew up. 5. Without spilling secrets, what is your favorite scene in your book? It's so hard to choose! But I think it might be the night when Maddie finally starts to see her crush Avery as a real person. It doesn't hurt that the scene also involves a Taylor Swift dance party. The night of the sixth grade dance is supposed to be perfect for Maddie: she'll wear her perfect new dress, she’ll hit the dance floor with her friends, and her crush Avery will ask her to dance. Most importantly, she’ll finally leave her tiny elementary school behind for junior high. But as the first slow song starts to play, her plans crumble. Avery asks someone else to dance instead—and then the power goes out. Huddled in the gym, Maddie and her friends are stunned to hear that a tornado has ripped through the other side of town, destroying both Maddie’s and Avery’s homes. A kind neighbor opens up their home to Maddie’s and Avery’s families, which both excites and horrifies Maddie. Sharing the same house . . . with Avery? For the entire summer? While it buys her some time to prove that Avery made the wrong choice at the dance, it also means he'll be there to witness her morning breath and her annoying little brother. Meanwhile, she must search for her beloved dog, who went missing during the tornado. At the dance, all she wanted was to be more grown up. Now that she has no choice, is she really ready for it? Coming June 13, 2017 from Alfred A. Knopf Books for Young Readers / Random House! 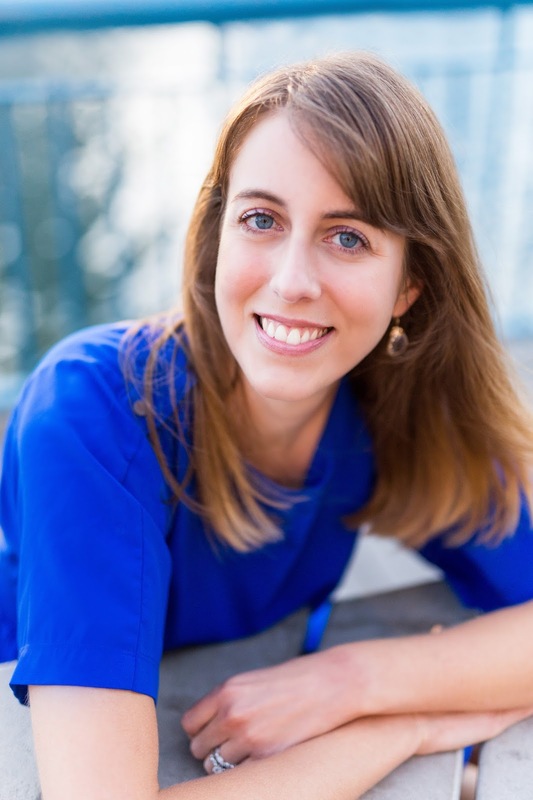 Jenn Bishop is also the author of The Distance to Home (Knopf, 2016) and is a former youth services and teen librarian. She is a graduate of the University of Chicago, where she studied English, and the Vermont College of Fine Arts, where she received her MFA in Writing for Children and Young Adults. Along with her husband and cat, Jenn lives in Cincinnati. Visit her online at JennBishop.com or on Twitter at @buffalojenn. And now, the COVER REVEAL!! Well, that's absolutely adorable! Congrats, Jenn! I love it! I've been waiting for this since finishing The Distabce To Home! I love how the covers are similar, both so dreamy. Love it! Can't wait for this book!! Love it! I can't wait to read!! Great cover! I can relate to the concept of your new novel. I moved into a tornado state a decade ago and I've never gotten used to the siren. This sounds like an amazing read! Awesome cover! This is adorable. I love the colors. Wonderful cover! I'm looking forward to reading the book!! Excited to read this book! It comes out on my birthday!!! Woot woot! Congratulations Jenn! I loved The Distance to Home- can't wait to see what else you have to share with us in the new book!! Love the cover~ the sky slightly ominous and the wind whipping her hair around! Thanks for the interview, ladies! It's beautiful! Congrats and I can't wait to read. Sounds like another character who'll move into our hearts. Can't wait to read, Jenn.